SEOUL, Sept. 8 (Yonhap) -- The United States is reportedly pushing for the toughest ever sanctions against North Korea in the wake of its latest nuclear test, which experts say could have a crippling effect on the Kim Jong-un regime as it tries to advance its nuclear and missile capabilities. It is still unclear how much cooperation Washington could draw from China and Russia -- veto-wielding permanent members of the United Nations Security Council (UNSC) -- in eventually passing its draft resolution currently under discussion in the wake of the North's sixth and most powerful nuclear test Sunday. 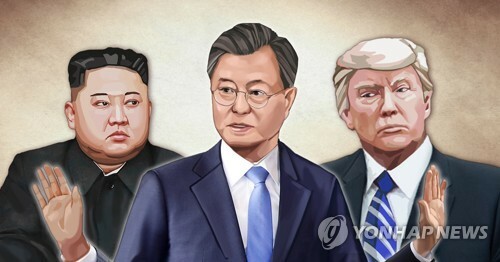 According to media reports, the U.S. is circulating a draft resolution through the UNSC that includes cutting off oil supplies to the North, banning it from exporting textiles and sending its workers abroad, and placing an asset freeze on leader Kim Jong-un. Washington wants to hold a vote on it Monday (U.S. time). If passed, it would put in place the toughest resolutions against the North since 2006, when it carried out its first nuclear test. It would also be the first time for the North's leader to be placed on a UNSC blacklist. 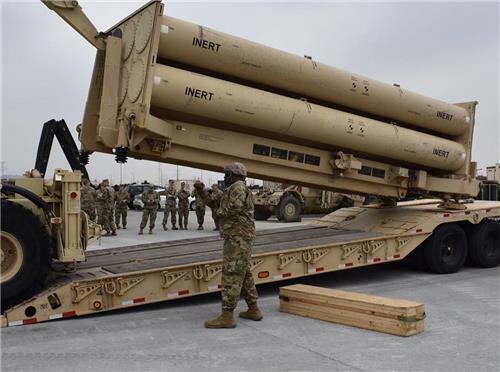 The move comes after North Korea on Sunday detonated what it claimed to be a hydrogen bomb that can be fitted onto an intercontinental ballistic missile. The explosion was around five to six times more powerful than the previous one, which was carried out in September last year. The international community led by the U.S. was quick to condemn the North's latest provocation, calling for tougher sanctions and more pressure to make it eventually give up its decades-long nuclear ambitions. At an emergency UNSC meeting held earlier this week, U.S. Ambassador Nikki Haley urged the UNSC to adopt the "strongest possible" sanctions against North Korea. "Enough is enough," she said. "The time has come to exhaust all of our diplomatic means before it's too late. We must now adopt the strongest possible measures." 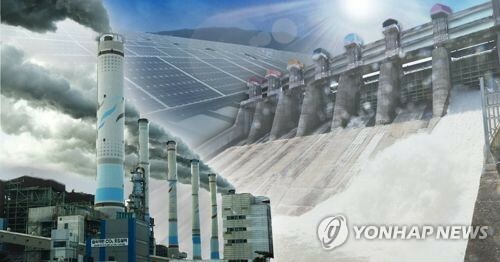 Joining the chorus of condemnation, South Korea, which, under the Moon Jae-in government, has been placing as much emphasis on talks as on sanctions and pressure in resolving the North's nuclear issue, is also supporting measures that could inflict "pain" on the North. Countries including the U.S., South Korea and Japan have been seeking to ban oil supplies to the North to pressure Pyongyang to come to the negotiating table to discuss its denuclearization. The oil embargo, among other things, is seen by some as the last remaining and most punitive way to put pressure on the North, but it has been off the table due to strong opposition, in particular, from China. Beijing has been reluctant to aggressively rein in Pyongyang for fear that pushing North Korea too hard could lead to instability in the North and undermine its own interests. The North is presumed to import around 1 million tons of fuel from China and 300,000-400,000 tons from Russia annually. This accounts for most of North Korea's energy imports. The outlook does not seem good for aggressive measures, such as an oil embargo, to be adopted as Washington wishes. Chinese Foreign Minister Wang Yi earlier said that sanctions and pressure are just half of the solution, saying that the other half should be talks and negotiations. Russia also appears to be opposed to the move to cut off oil supplies to the North. "We too oppose and denounce North Korea's nuclear development. However, I am concerned that cutting off the oil supply to North Korea may harm people in hospitals or other ordinary citizens," Russian President Vladimir Putin was quoted as saying during a recent summit in Vladivostok with South Korean President Moon Jae-in. Experts say that it would be hard for China and Russia to oppose additional sanctions against Pyongyang this time around, considering the seriousness of the latest developments, but the chances are low that they would go as far as Washington wants. "In particular, China will likely not oppose such tough additional sanctions when the global community is intensifying its countermeasures against the North," said Park Jeong-jin, vice director of the Institute for Far Eastern Studies. "With regard to the option of cutting off oil supplies to the North, it could agree to a less tough solution, such as reducing the overall amount of oil exports, rather than a complete suspension," he said. "What is more important, however, is not what steps will be taken but how faithfully sanctions will be enforced, given that China has been a major avenue via which the North can ease its pain."